Today is Erik Satie‘s birthday (1866-1925). Which is to say that Salammbo incorporates both the “war dance and the fertility rite,” which is perhaps reflected in the wistful melancholy of Satie’s composition. This entry was posted in Biography, Music, Romance on May 17, 2011 by Michael Happy. H. Rider Haggard died on this date in in 1925 (born 1856). This entry was posted in Anniversaries, Archetype, Romance, Secular Scripture on May 14, 2011 by Michael Happy. Benjamin Disraeli died on this date in 1881 (born 1804). It would raise hurricanes of laughter all along the political spectrum to suggest that today’s “conservatives” might do anything remotely resembling this now. Maybe a large part of the reason is that Disraeli was extraordinarily accomplished. However “conservatives” regard themselves, glad handing the corporate elite does not round out a world-view. As Frye goes on to say in his examination of the work of Dickens, the second-tier status of romance is a long way from the truth. Writers of romance like Disraeli are closer to the imaginative bedrock of literature and life than any realist. “Conservatives” who by denying assistance to the poor and justice to society at large to further enrich a bogus crony-capitalisim may flatter themselves as living in “the real world.” But it is in fact not much of a world and, because it’s unsustainable, it is not even real; just temporarily realized and doomed to fail. This entry was posted in Anniversaries, Current Events, Novel, Politics, Romance on April 19, 2011 by Michael Happy. Stanislaw Lem died on this date in 2006 (born 1921). This entry was posted in Anniversaries, Romance, Science Fiction on March 27, 2011 by Michael Happy. Today is Bernardo Bertolucci‘s birthday (born 1940). This entry was posted in Birthdays, Romance, Secular Scripture on March 16, 2011 by Michael Happy. Something about this notion never seemed right to me. I could agree that virginity served only a structural purpose, but I was left wondering how it could be structural when it only referred to female characters. Why was there not a male virgin in romance? To this end, I have written a dissertation on the subject. I have surveyed well over one hundred romance novels that include virgins, and I have developed something of an anatomy of male virgins in romance. Even with these eight elements, however, romance is remarkably varied. Harlequin Publications, for example, produces romances that have varying levels of eroticism and sexuality — and even a NASCAR setting, for those looking for one. But all romances evidently possess Regis’s eight requirements. So the question becomes: why do literary critics in general look down upon formulaic fiction? In many regards, it seems that sticking to and following the formula presents its own challenges, including, how does any writer make a formula new? So, with this in mind, I am posting the video above to illustrate the point: just four chords can produce forty different pop songs for the purposes of a single comedy bit. Why shouldn’t eight elements of an expansive literary formula produce any number of romances? This entry was posted in Popular Culture, Romance on February 1, 2011 by Jonathan Allan. 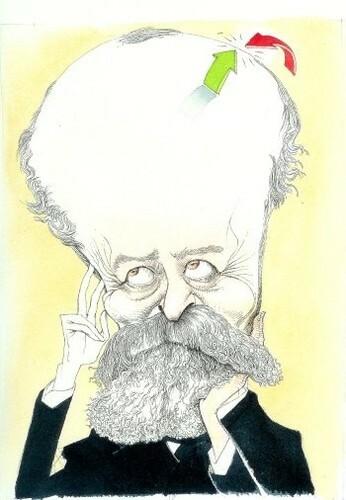 Today is William James‘s birthday (1842-1910). Frye in The Secular Scripture cites James to illustrate a familiar theme; the illusion of reality and the reality of illusion. This entry was posted in Birthdays, Romance, Secular Scripture on January 11, 2011 by Michael Happy. Today is Robert Louis Stevenson‘s birthday (1850-1894). Even Google is celebrating, as you can see from its Treasure Island-themed link icon (above). This entry was posted in Anniversaries, Romance, Words with Power on November 13, 2010 by Michael Happy.